The American flag has a few nicknames. People call it the Stars and Stripes, Old Glory, or the Star-Spangled Banner. This memorial shows American troops raising the flag during a battle in World War II. People wave the American flag during celebrations like the Fourth of July. 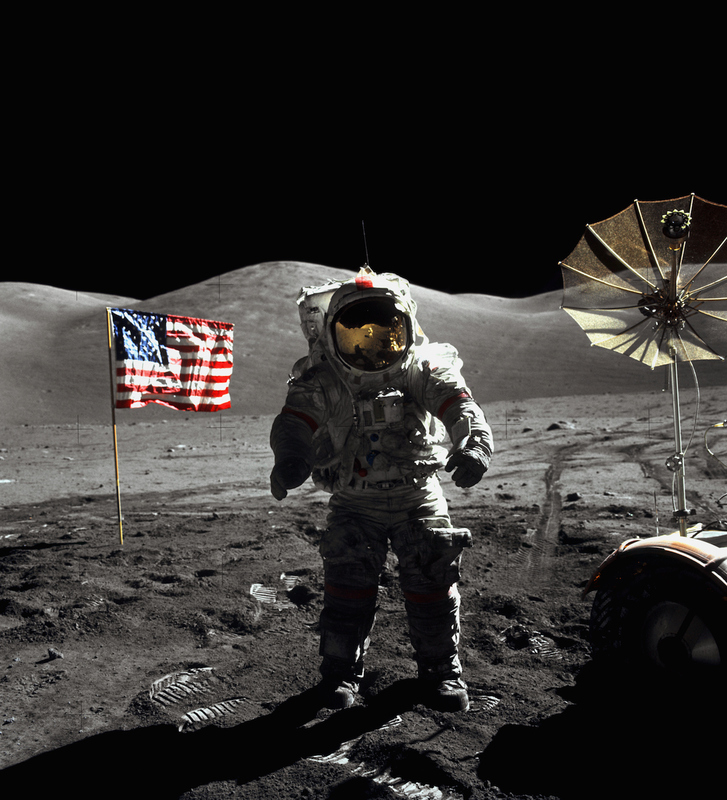 Astronauts planted the American flag when they landed on the moon. What is the American flag? The American flag is a symbol of the United States. It has red and white stripes and white stars on a blue field. The flag is flown over schools, parks, and buildings like the White House. You can see the flag on soldiers’ uniforms, postage stamps, and other places. The flag has 13 red and white stripes. These stand for the 13 colonies that became the United States of America. The left corner of the flag has a blue field with 50 white stars. These stars stand for the 50 states. The American flag is a symbol of the United States. For many people, it stands for freedom and equality. People salute the flag to honor these ideas. 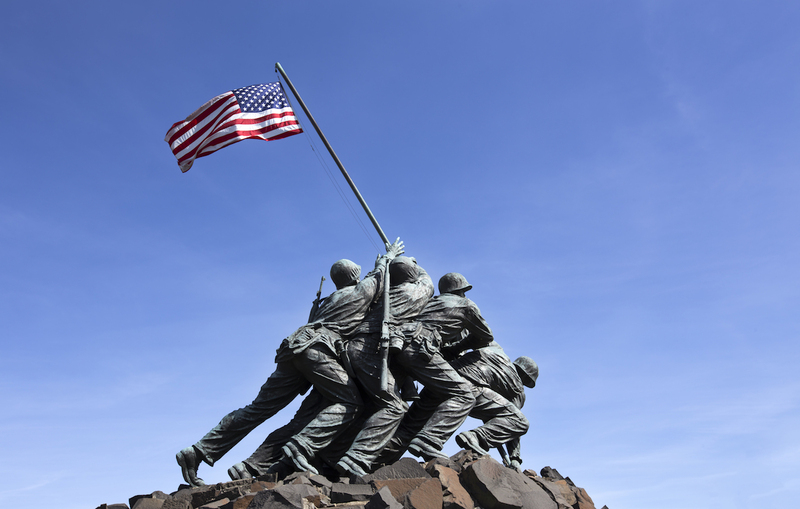 When was the American flag made a symbol? 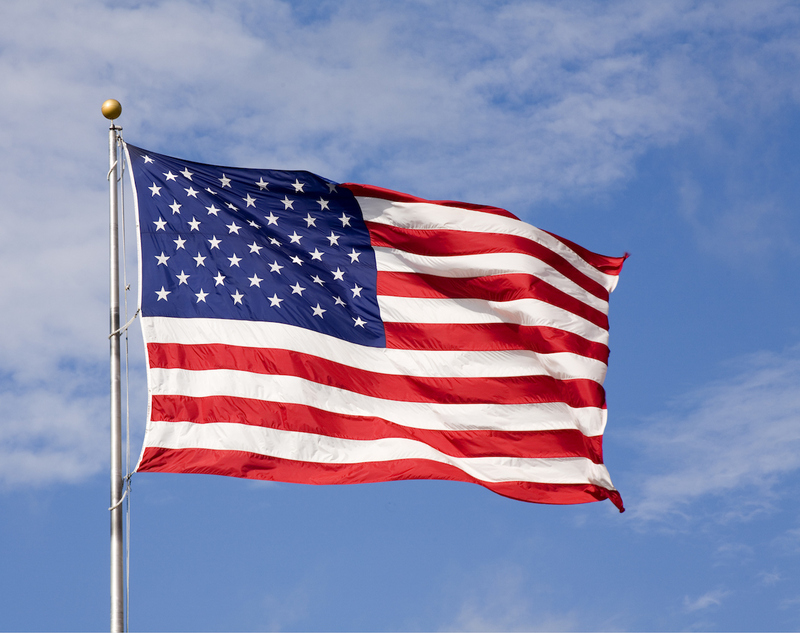 The American flag was made a symbol of the United States on June 14, 1777. This was during the American Revolution. 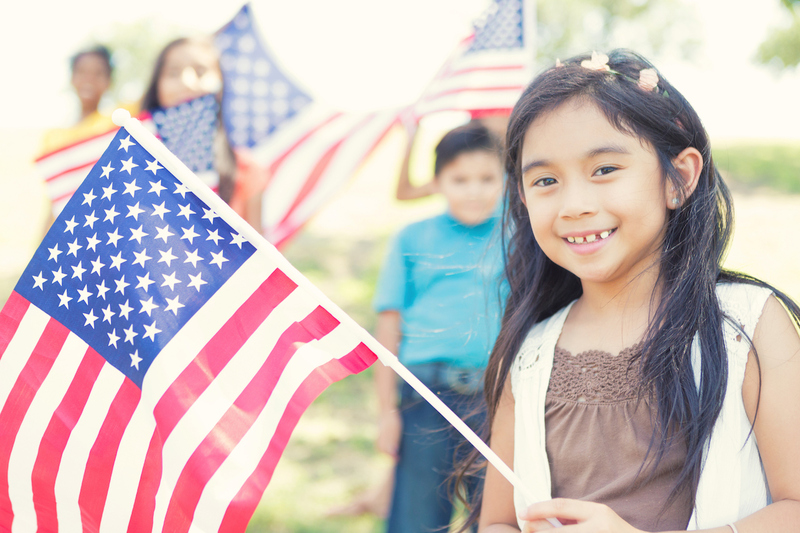 June 14 is now a holiday called Flag Day. Some towns hold parades on Flag Day. The look of the American flag has changed more than 20 times over the years. When a new state is added to the United States, a star is added to the flag. "American Flag." Report Builder, Gareth Stevens Publishing, garethreportbuilder.com/article/503/american-flag. Accessed 24 Apr, 2019.